The boom experienced in users' adoption of virtual currencies2 has also reached the Brazilian market, which has given local law practitioners, legislators and regulators a lot to discuss. Traditionally, technology and business innovation comes ahead of regulation, and this is also proving to be the case with virtual currencies innovative businesses. The virtual currencies industry is both globalised and localised, and the growth of its ecosystem has given grounds for discussions that range from local mining activities to global exchanges with services and products that defy the limits of banking, payment and capital markets laws and regulations on a daily basis. In Brazil, it is the same. The first official communication by the Brazilian Central Bank (Central Bank) regarding virtual currencies occurred in 2014. In such statement, the Central Bank clearly stated that virtual currencies are not considered legal currency in Brazil, and thus would not be subject to Central Bank scrutiny. It also stated that although the Central Bank would follow the development of this market closely, the volume of transactions was not yet large enough to pose a threat to the soundness of the Brazilian financial system. 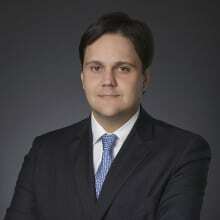 The 2017 boom in the virtual currencies market brought virtual currencies back into the spotlight and resulted in the Central Bank and the Brazilian Securities Exchange Commission (CVM) releasing more comprehensive communications to the market stating their position regarding new virtual currencies businesses in light of the existing Brazilian laws and regulatory framework. In parallel, the Brazilian Congress has started a series of public hearings to hear regulatory authorities, market players and specialists in the scope of discussions of a Bill of Law 2303/15 aimed at regulating virtual currencies in Brazil. Although virtual currencies can present the economic functionalities traditionally attributed to currencies, they do not fall within the legal definition of a currency for the purposes of Brazilian law. The legal currency in Brazil is the real as provided by Decree-Law 857/69 and Law 10192/01. According to Law 10192/01, all payment obligations enforceable in Brazil must be determined in reais, and all agreements or other documents that in any form constrain or refuse the use of the legal currency are void. These provisions are referred to as the 'legal course' of the real. As a result, despite being able to be used as a means to carry out exchanges, a unit for the purposes of accountancy or even as reserve of value, virtual currencies do not have legal course, and therefore do not fall within the legal definition of legal currency. 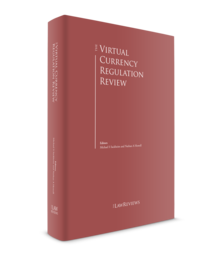 Nevertheless, similarly to most jurisdictions, the legal treatment of virtual currencies in Brazil may vary according to the intrinsic characteristics of each virtual currency, including its purpose and usage, existence of remuneration, and distribution and issuance methods. Thus, a given virtual currency may end up being subject to certain banking and securities laws and regulations. To fully and properly understand the legal and regulatory framework that may apply to virtual currencies, it is important to have a general overview of the banking and securities legal and regulatory framework existing in Brazil. The Banking Law, although dated prior to the Constitution, remains the main law establishing the current format of the Brazilian financial system, and sets forth the ground rules for its infrastructure and regulatory framework. In 2013, the enactment of the E-payments Law enlarged the scope of the regulatory authority of the CMN and Central Bank. The E-payments Law was enacted to regulate the industry of electronic payments in Brazil by bringing the CMN and Central Bank's scope of oversight to the rendering of payment services in the context of the Brazilian payments system. The E-payments Law sets the ground rules of the regulatory framework applicable to payment arrangements (i.e., the set of rules governing a payment scheme, such as credit or debit card transactions) and payment agents (i.e., any agent that issues a payment instrument or acquires a merchant for payment acceptance). The Brazilian banking system is highly regulated. The main diploma is the Banking Law, which places the CMN as the highest authority in the Brazilian financial system. It is responsible for establishing the monetary and financial policies in Brazil, and is in charge of the overall supervision of the Brazilian monetary, credit, budgetary, fiscal and public debt policies, as well as operating the Brazilian payments system (SPB). to monitor the liquidity and solvency of financial institutions and payment institutions. The Central Bank is responsible for implementing the monetary and credit policies established by the CMN, as well as to regulate public and private financial institutions per se, payment arrangements, payment arrangements institutors and payment institutions, applying, when needed, the sanctions stipulated in the rules applicable to such entities. It is also responsible, among other activities, for exercising control over credit and foreign capital, receiving mandatory payments and voluntary demand deposits made by financial institutions, engaging in rediscount transactions and providing loans to financial institutions, as well as exercising the function of a depository of official gold and foreign currency reserves. In this sense, the CMN is responsible for regulating the criteria for the organisation, operation and inspection of financial institutions and payment arrangements and agents, while the Central Bank is responsible for effectively authorising the operations of financial institutions in Brazil and supervising their activities. The regulatory authority of the CMN is exercised by the issuance of resolutions creating the basic regulatory framework applicable to financial institutions as per the mandate and pursuant to the limits provided by the Banking Law and E-Payments Law. The Central Bank, in its role as the regulatory and supervising authority, issue regulations aimed at implementing CMN resolutions. While CMN resolutions set the policies and guidelines for the financial and payments systems, Central Bank regulations serve to establish the technical details for implementation of CMN resolutions. The Brazilian capital markets system is also highly regulated. The main diploma is the Capital Markets Law, which created the CVM, and the Securities Law, which establishes the scope of the CMN and the Central Bank in the capital markets. The CVM is responsible for regulating, supervising and inspecting the Brazilian securities market and its participants. It is also responsible, among other things, for overseeing the exchange and organised over-the-counter markets, publicly-held corporations, the commodities, futures, derivatives and securities markets, and the intermediation and custody of such assets. Its regulatory authority also extends to banks engaged in investment banking and securities activities, and to other participants in the securities market. The regulatory authority of the CVM is exercised by the issuance of rulings and opinions that are binding on participants in the securities market and any parties involved in transactions involving securities. There are also some CMN resolutions and Central Bank regulations that apply to financial institutions and other specific capital markets participants subject to such authorities' oversight. Discussions on the treatment of virtual currencies in light of the Capital Markets Law and the potential characterisation of virtual currencies as securities in Brazil have gained relevance due to the growth in interest in virtual currencies and other virtual assets throughout 2017, especially in initial coin offerings (ICOs). ICOs consist of making an offer to the public of virtual currencies or virtual assets (financial or otherwise). The market has conventionally named these tokens or coins, as they are created within a blockchain or distributed ledger technology. Virtual currencies offered through an ICO may represent any type of asset or instrument, from a share to a feature to access a certain platform. In this sense, as mentioned above, a given virtual currency may be subject to a specific legal and regulatory framework depending on the intrinsic characteristics of each virtual currency, including its purpose and usage, existence of remuneration, and distribution and issuance methods. In the case that a new virtual currency created in the scope of an ICO has characteristics that match the requirements to classify as a security in Brazil, it will be subject to the Brazilian capital markets legal and regulatory framework. In light of the growth in the number of ICOs in 2017, the CVM published two notices to the market confirming that any given virtual currency may or not be subject to the Capital Markets Law and CVM regulatory framework and scrutiny depending on whether or not it is classified as a security in light of the concept of security provided by the Capital Markets Law, and the analysis should be made on a case-by-case basis. when publicly offered, any other securities or collective investment contracts that generate share, partnership or remuneration rights, including those resulting from the provision of services, whose income comes from the efforts of the entrepreneur or third parties. Along with the list of instruments that are expressly considered securities (items (a) through (h) above), the Capital Markets Law also provides an open-ended definition whereby any collective investment contracts that are open to public offering, generate a share, partnership or remuneration right, and which income result from the efforts of the entrepreneur or third parties, are considered a security. Thus, it is indeed possible to characterise some virtual currencies as securities under the terms of the Capital Markets Law depending on the economic context of its issuance and the rights conferred on investors. In cases where a virtual currency is classified as a security in Brazil, an ICO for issuance of this virtual currency will be subject to the legal treatment of public offerings of securities in Brazil. The main concern of the CVM is to ensure that the issuance and public offering of these securities, that is, their large-scale offering, is carried out in a manner that ensures that the investors concerned are properly educated about the potential risks and benefits involved. Therefore, as a general rule, the public offering of securities depends on the registration by the issuer of the securities offered at the CVM, registration of the offer with the CVM and completion of the public offering through an intermediary authorised by the CVM (investment bank or others). Public offerings of securities may be currently carried out under the general public offerings regimen set forth by CVM Ruling 400/03, which requires the registration of an offer with the CVM as mentioned above. Alternatively, public offerings of securities may be carried out under the specific regimen set forth by CVM Ruling 476/09 for offerings with restricted efforts (that is, a direct offering to a limited number of qualified investors) and the specific regimen set forth for investment crowdfunding in CVM Ruling 588/17. In both cases, the offerings do not require prior registration with the CVM but are subject to specific limitations. Additionally, the CVM has issued specific opinions dealing with offerings of securities using the internet that occurred abroad whereby the authority has stated that an offering made using the internet is generally considered public, and that even if a certain public offering occurs abroad, in cases where it targets Brazilian investors it will be subject to Brazilian capital markets laws and regulation. In this sense, an ICO is for all purposes a public offering since it uses the internet as the main distribution method, and even if the public offering is occurring elsewhere, it should observe Brazilian capital markets laws and regulation if Brazilian investors are targeted. As a result, the CVM may apply the applicable sanctions and penalties in the event of offers of virtual currencies that fit the definition of security in disregard of the capital markers applicable regulation, an understanding that has already been publicly confirmed by the CVM. The same applies to the trading rules. Securities may only be traded in markets authorised by the CVM (stock exchanges and over-the-counter markets) and, therefore, virtual currencies that are classified as securities can only be traded in such markets being prevented from listing in non-regulated environments: that is, virtual currency exchanges (see Section V for further information). The regulation enacted by the CMN and the Central Bank under the regulatory powers attributed to such authorities by the E-payments Law created the concept of electronic currency in the Brazilian legal and regulatory framework. An electronic currency is an electronic representation of reais transferred by the user of the payment services to the entity responsible for the issuance and management of the electronic currency – the payment institution. Such funds are stored in an electronic account in the name of the user, and might be utilised for payments or transfers among users or with third parties accredited to receive such electronic currency. The user has legal property of the electronic currency and may request the withdrawal of such amount at any moment. Payment institutions' issuers of electronic currencies are required to join a payment arrangement (or establish their own) and request the Central Bank approval to operate. 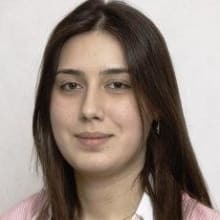 The payment arrangement is the set of rules governing the payment scheme (including the fee structure), and its establishment is carried out by a payment arranger who is also a regulated entity and required to request Central Bank approval to operate. The regulatory concept of electronic currency was created to cover all prepaid cards issued in Brazil and mainly used for the acquisition of goods with merchants. Nevertheless, given the broad concept of electronic currency as established by the E-payments Law and regulation it encompasses all kinds of electronic currency directly related to the real. In other words, the E-payments Law will apply to all electronic currencies that mimic the real. Virtual currencies do not fall into this definition and, therefore, are not considered electronic currencies for the purposes of the E-payments Law and its related regulation. In this sense, the Central Bank issued a communication in 2014, following the enactment of the E-payments Law and at a moment when virtual currencies were not so largely adopted, clarifying and confirming that virtual currencies are different from the electronic currencies concept created by the E-payments Law and related CMN and Central Bank rules. This position was further confirmed in 2017 when the Central Bank issued additional communications to the market restating its position due to relevant increase in the number of transactions and businesses involving virtual currencies. The Brazilian foreign exchange rules are generally strict, and the foreign exchange laws and regulation thereof still reflect the government's historic concern with foreign exchange controls, which have been relaxed over the past decade but which still impose a significant hurdle to foreign currency flows. The foreign exchange market and transactions are subject to Central Bank oversight and regulation, as established in the Banking Law and Law 4131/64. Remittances of funds from abroad to Brazil and vice versa can only be made through financial institutions authorised to operate in the foreign exchange market. In other words, Brazilians can purchase and sell foreign currencies or perform international transfers in Brazilian reais of any nature, without limitation of amount, on the condition that the counterparty in the operation is an agent authorised to operate in the foreign exchange market, subject to the legality of the transaction and based on economic grounds and responsibilities defined in the related documentation. These rules set out the principles to be observed by banks and agents authorised to operate in the foreign exchange market in each and every transaction. Pursuant to Decree-Law 23258/33 and Law 7492/86, a foreign exchange transaction carried out without the intermediation of an authorised intermediary is considered a financial crime characterised as the execution of an illegal foreign exchange transaction subject to the penalty of imprisonment from two to six years plus a fine. In this context, the remittance of funds from Brazil to abroad for the acquisition of virtual currencies is not prohibited, provided that the flow of funds occurs through the appropriate channels by means of an foreign exchange transaction entered into with an authorised agent. Remittances of funds from abroad to Brazil and vice versa can only be made for specific purposes expressly set forth in the regulation. Each purpose has a corresponding nature (or code) that must be indicated in the corresponding foreign exchange agreements. Brazilian exchange regulations do not specify objective criteria for the characterisation of foreign exchange transactions under a specific nature, and a local agent will request from its clients and keep in its files the documents evidencing that the transaction is legal and corresponds to the specific purpose indicated by the client. The remittance of funds from abroad to Brazil and vice versa not in compliance with this rule is also subject to administrative fines. Despite the above-mentioned requirements, currently the Central Bank regulation does not provided a specific nature for transactions involving virtual currencies, and remittances must be analysed on a case-by-case basis to determine the most appropriate classification. The prevention of money laundering, terrorist financing and similar crimes is among of the main concerns regarding the adoption of virtual currencies on a global scale, and it has received the dedicated attention of the Brazilian authorities. Currently, there is no specific law or regulation in force in the Brazilian legal system setting forth the specific regimen for the prevention of money laundering in businesses and transactions involving virtual currencies. The criminalisation of money laundering in Brazil was verified upon the enactment of the Anti-Money Laundering Law, which sets forth not only the definitions, requirements and sanctions of the matter, but also creates the basis for a local legal framework bound for the prevention of money laundering crimes in Brazil. It also establishes a preventive control mechanism for all commercial and financial transactions to restrain the practice of using certain sectors of the economy as a conduit for recycling illegal gains. This preventive control mechanism, however, applies only to a limited range of legal entities and individuals based on the involvement of such persons in certain activities (either as a main or ancillary activity). Nevertheless, depending on the type of business and transaction carried out involving virtual currencies, it is possible to adopt a conservative interpretation of the Anti-Money Laundering Law and establish its application for the specific business or transaction. This is the case for the activities practiced by virtual currency exchanges, which activities, although not expressly included in the roll provided by the Anti-Money Laundering Law, may be considered as subject to its provisions due to its ancillary activities. In this sense, over the past few years, several government bodies and representatives under the National Initiative for Fighting Corruption and Money Laundering have discussed the implications of the usage of virtual currencies and electronic payment methods for the prevention of money laundering. In parallel, under the discussions regarding Bill of Law 2303/15 in Congress, the benefits of amending the Anti-Money Laundering Law to include entities that operate with virtual currencies in the roll of activities expressly subject to such Law is among the most recurring matters. In any case, market practice most generally adopted in Brazil has been enacting sound anti-money laundering mechanisms and safeguards, especially by virtual currency exchanges. As mentioned above, the Anti-Money Laundering Law also establishes a preventive control mechanism for all commercial and financial transactions to curb the practice of using certain sectors of the economy as conduits for recycling illegal gains. This Law also created a special agency, the Financial Activities Surveillance Committee (COAF), which is linked to the Ministry of Finance, and is responsible for regulating, imposing administrative penalties, and receiving, reviewing and identifying the suspected occurrence of illicit activities under the Anti-Money Laundering Law, without prejudice to the spheres of authority of other agencies and authorities. internal controls: to adopt internal policies and procedures consistent with an institution's size and transactions volume, and to adequately comply with the anti-money laundering legal requirements. If the above-mentioned obligations and requirements are not observed, in addition to any other penalties that may apply, including in the criminal, administrative and civil law spheres, a virtual currency exchange and its managers may be subject to penalties including warnings, monetary fines, or temporary or indefinite suspension or cancellation of the authorisation to operate, depending on the seriousness of the breach. The Anti-Money Laundering Law also sets forth the ground rules for the criminalisation of money laundering in Brazil, which include not only definitions, requirements and sanctions on the matter, but also create the basis for a local legal framework for the prevention of money laundering crimes in Brazil. Individuals involved in such crimes are subject to the penalty of imprisonment from three to 10 years plus a fine. Until 2017, two virtual currency exchanges concentrated more that 50 per cent of the market share in Brazil. However, the boom in the virtual currencies market in 2017 resulted in the creation of multiple new virtual currencies exchanges business and products, and the number of virtual currency exchanges operating in Brazil jumped from 15 to 28 from December 2017 to August 2018, an increase of 86 per cent.12 In addition, in August 2018 the third-largest virtual currency exchange announced its entrance in the Brazilian market. The growth in users' adoption of virtual currencies is not the only factor contributing to this growth. The light regulatory requirements to operate a virtual currency exchange in Brazil have also contributed to attract new players to this market. The activities practised by virtual currency exchanges consist of the development and administration of platforms that enable their clients to buy, sell and trade virtual currencies among themselves. The regulation that will apply to these platforms depends on the type of virtual currency the exchanges will list for acquisition, sale and trading by users. As mentioned above, in cases where the virtual currencies listed in a given exchange are classified as securities as provided by the Capital Markets Law, they can only be traded in stock exchanges or over-the-counter markets authorised by the CVM. On the other hand, virtual currencies that do not fit into the concept of securities are not subject to such rules, as is the case of Bitcoins, the virtual currency with the largest trading volume in Brazil. Such assets can be traded in non-regulated environments. Thus, a virtual currency exchange that lists only virtual currencies that do not fit into the concept of securities will not be subject to the capital markets rules. In addition to the development of a platform for buying, selling and trading of virtual currencies, many virtual currency exchanges end up providing ancillary services to their customers. These ancillary services are intended to enable clients to carry out transactions on a platform in a more efficient way with immediate settlement of the transactions. The most common ancillary service is the custody of virtual currencies of clients in virtual portfolios in the name of such clients. The custody of virtual currencies is also not a regulated activity; therefore, it is subject to the general legal regimen established by the Civil Code for the custody of assets. The second most common ancillary service is the provision of prepaid accounts in real to clients (as a payment institution). Prepaid accounts allow clients to contribute real to those accounts that, once converted into electronic currency, can be used to execute transactions on the platform (such as for payments for acquisitions of virtual currencies). This service is provided by a virtual currency exchange by acting as a payment institution issuer of electronic currencies and operating its own payment arrangement with the purpose of enabling transactions in the platform. A prepaid account, pursuant to the Central Bank regulation, is an account destined for the execution of payment transactions in an electronic currency based on funds contributed to such account in advance.13 In this sense, the E-payments Law and related regulation establish that an institution responsible for the management of prepaid payment accounts, the availability of payment transactions based on an electronic currency contributed into those accounts, and the conversion of such funds into physical or book entry currency or vice versa, is considered a payment institution, and subject to such Law and regulation. Thus, a virtual currency exchange that operates as a payment institution issuer of electronic currencies may be subject to authorisation from the Central Bank to operate depending on the type of payment arrangement that it participates in. This requirement, however, results from the operation of prepaid accounts in real and is not related to virtual portfolios of virtual currencies, or to any of the services and operations of a platform that involve exclusively virtual currencies. Mining activity is not regulated in Brazil. Mining activities have mostly been explored in the south of Brazil, where mining farms have been established close to the Itaipú hydroelectric power plant (although it is very common to see Brazilian miners setting up in neighbouring countries such as Paraguay). The main concerns regarding mining activities are related to the receipt of virtual currencies as payment for mining due to anti-money laundering issues (for further information see Section IV). In spite of the fact that mining activities are not regulated, the public offering and sale of quotes of investment in mining farms are considered a public offering of a collective investment agreement that would generate share, partnership or remuneration rights, and that would fit into the definition of securities subject to the Capital Markets Law (for further information see Section II). The legal and regulatory framework applicable to issuers and sponsors of virtual currencies depends on the legal and regulatory regimen applicable to the virtual currencies. Issuers and sponsors of virtual currencies that are subject to the general assets regimen are not also subject to any specific regulation. On the other hand, in the case of virtual currencies that fit within the definition of virtual currencies under the Capital Markets Law referred to above, the issuers or sponsors of such virtual currencies will also be subject to the Capital Markets Law, including the requirement of registration as an issuer of securities with the CVM, pursuant to the terms of CVM Ruling 480/09. CVM Ruling 480/09 establishes the terms for registration of companies as Class A or Class B issuers of securities, depending on the type of security issued, which includes an authorisation for the issuance of shares in the case of Class A issuers that does not apply to Class B issuers. CVM Ruling 480/09 also sets forth the procedures for the registration of foreign issuers with the CVM. The Brazilian tax legislation has no legal provision governing the taxation of virtual currencies, and the lack of proper regulation may lead to uncertainties on compliance with certain tax obligations. the capital gains ascertained on the sale of virtual currencies are subject to income tax. Transactions with virtual currencies are subject to the same taxation as transactions with different classes of assets. This means that sales of products or services with a settlement in virtual currencies are regularly subject to taxation, and payments made with virtual currencies are subject to withholding taxes. Notwithstanding this, given some particularities of virtual currency technology, there are debates on the applicable tax treatment in some specific situations, for instance, whether the swap of a virtual currency for another virtual currency is a taxable event; the tax treatment of virtual currencies received by means of a hard fork;15 and the criteria for accounting a virtual currency in the balance sheet of local companies and the taxation on the variations of the price of the virtual currency. In mid-August 2018, Brazil enacted the General Data Protection Act (GDPA), and it will be effective within 18 months. The GPDA brings deep changes to the processing of personal data in Brazil, including rules for processing, storage, use and transfer of personal data as well as specific rules for the transferring of data abroad, and will impact activities of both Brazilian and foreign companies with a linkage in Brazil as well as digital platforms that operate in Brazil. Businesses and transactions involving virtual currencies are not excluded from its scope of application, and will therefore be impacted by the GDPA. The adoption of virtual currencies in Brazil has increased significantly over the past 12 months, and the entrance of new players is expected to give them an additional boost. The increase in the market cap of transactions with virtual currencies and the development of new businesses are likely to also draw the attention of Brazilian legislators and regulatory authorities. Therefore, it is expected that the public hearings and discussions regarding Bill of Law 2303/15 will intensify, and that the Central Bank and the CVM will look more closely at transactions and new products involving virtual currencies, and especially those that push the limits of the banking and capital markets regulations such as investment fund structures, derivatives and ICOs of virtual currencies classified as securities. 1 Fernando Mirandez Del Nero Gomes is a partner and Tiago Moreira Vieira Rocha and Alessandra Carolina Rossi Martins are associates at Pinheiro Neto Advogados. 2 Also known as digital currencies or cryptocurrencies. 4 Article 192 of the Federal Constitution of 1988, as amended. 10 The Anti-Money Laundering Law transferred to the duly empowered authorities (e.g., the Central Bank) the responsibility for defining such thresholds. 11 The Anti-Money Laundering Law also transferred to the duly empowered authorities (e.g., the Central Bank), the responsibility for listing these suspicious transactions. 12 Radar Fintechlab Brazil, August 2018. 13 Circular 3680/13 issued by the Central Bank, as amended, defines pre-paid payment accounts as those 'intended to perform payment transactions with electronic currency based on funds in Brazilian currency transferred onto such account in advance'. 14 Circular 3682/13 issued by the Central Bank, as amended, lists examples of limited purpose payment arrangements, which are those whose instruments are accepted only at the network of establishments of one same business company, even if not issued by it; accepted only at the network of establishments that clearly display the same visual identity among them, such as franchisees and fuel station networks; and intended for payment of specific public utility services, such as public transport and public telephony.